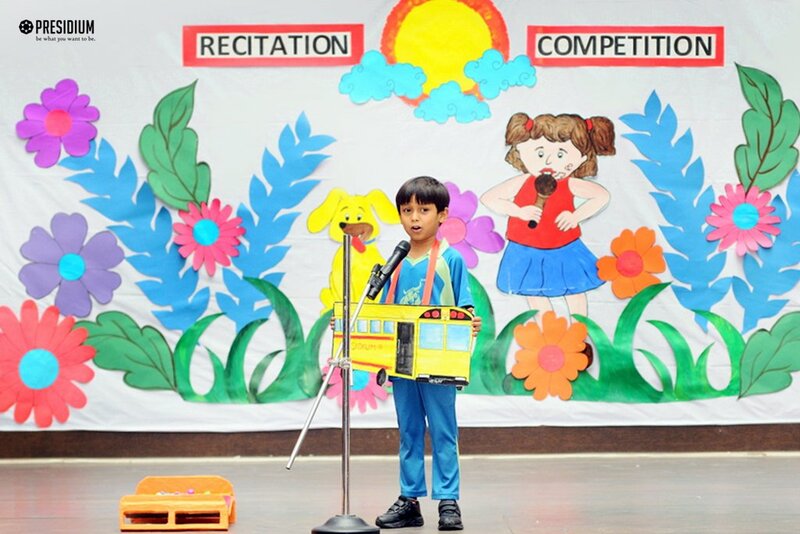 "Poetry comes alive through recitation." 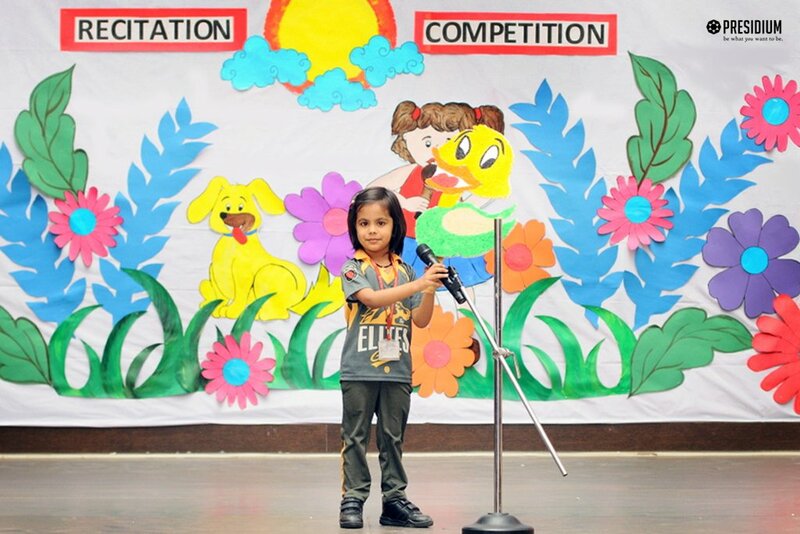 At Presidium, we believe that every student is gifted and should be given an opportunity to showcase his/her hidden talent and prowess. 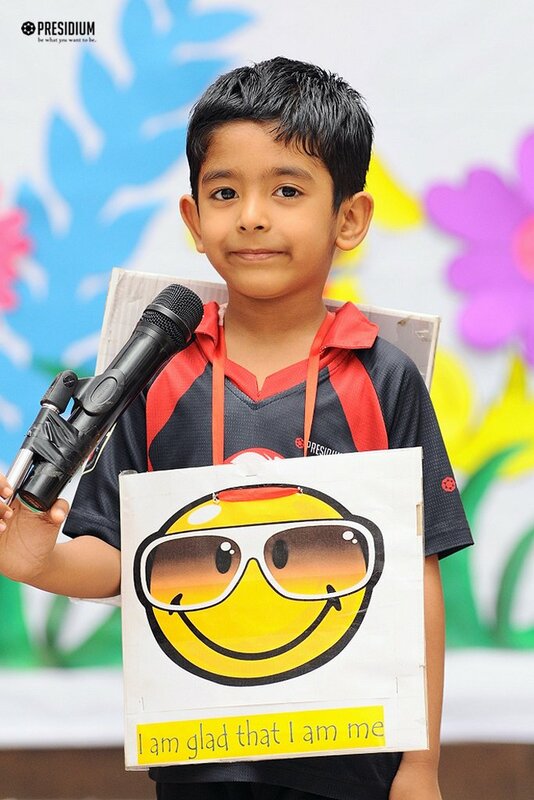 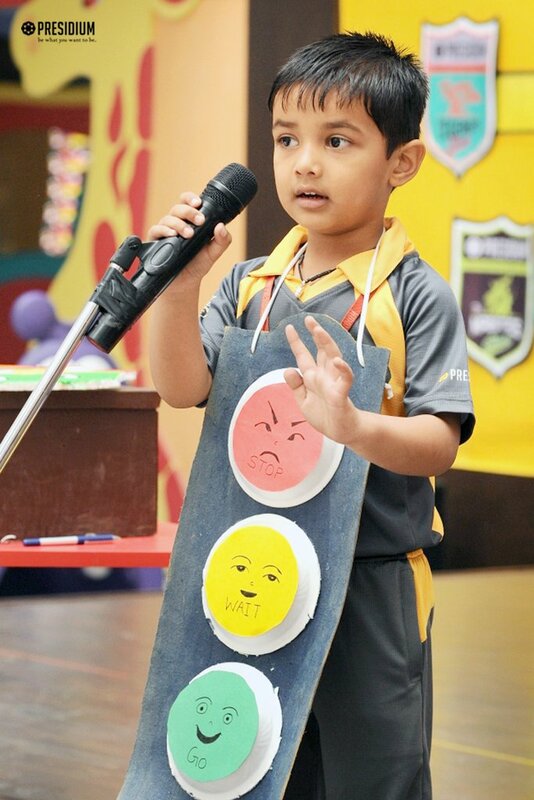 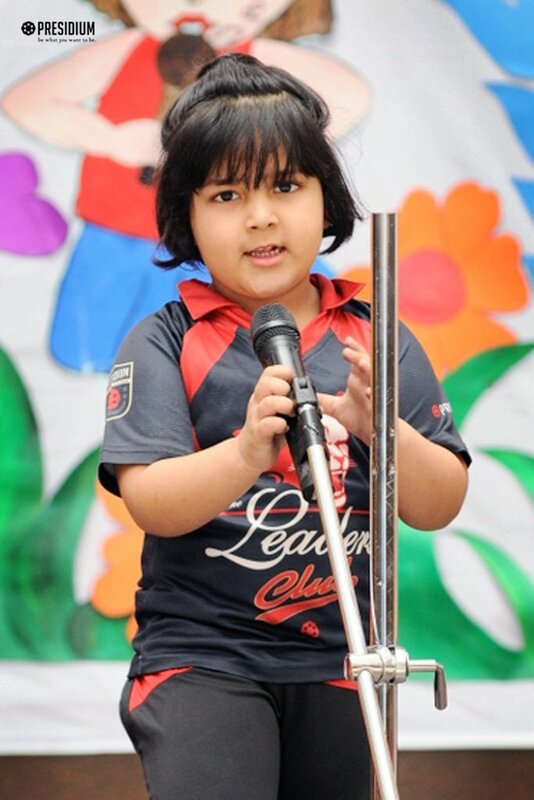 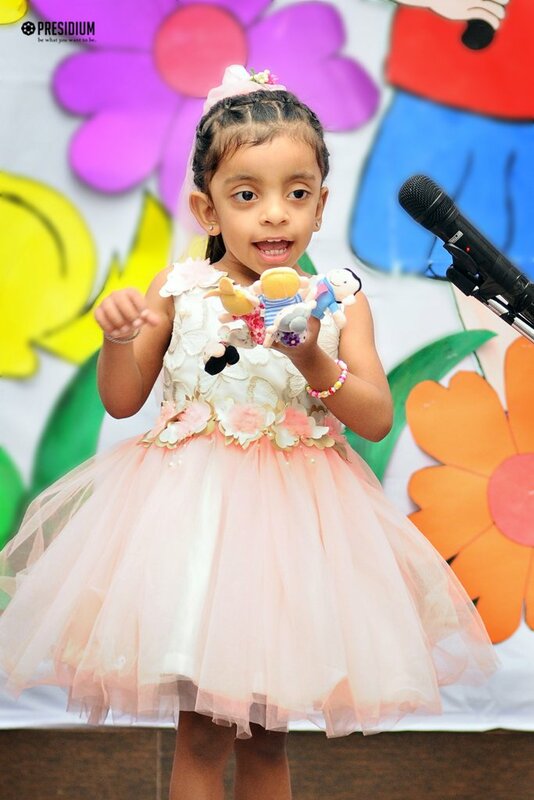 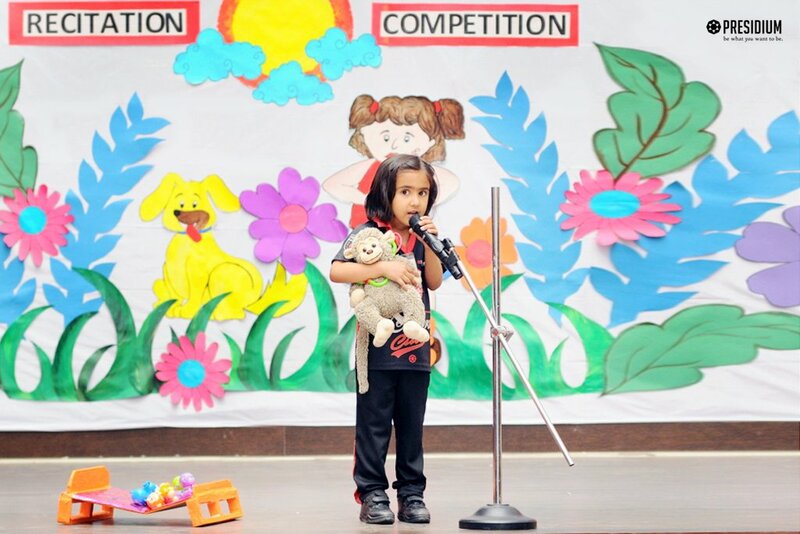 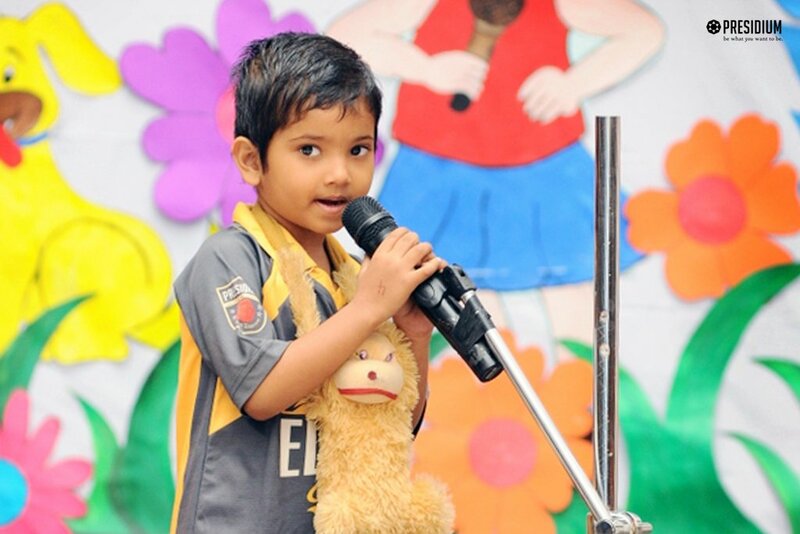 With the same belief, the Storytellers, Academy for Mass Communication, organised a 'Rhymes and Chimes' -an Intra-class Recitation competition for Grade Nursery and Prep, to enrich and enable the three skills of diction, speech and memory, at Presidium Raj Nagar. 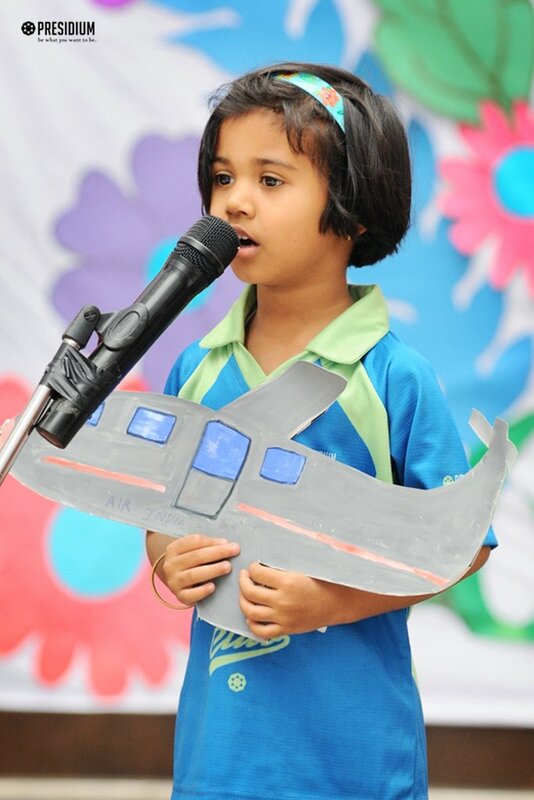 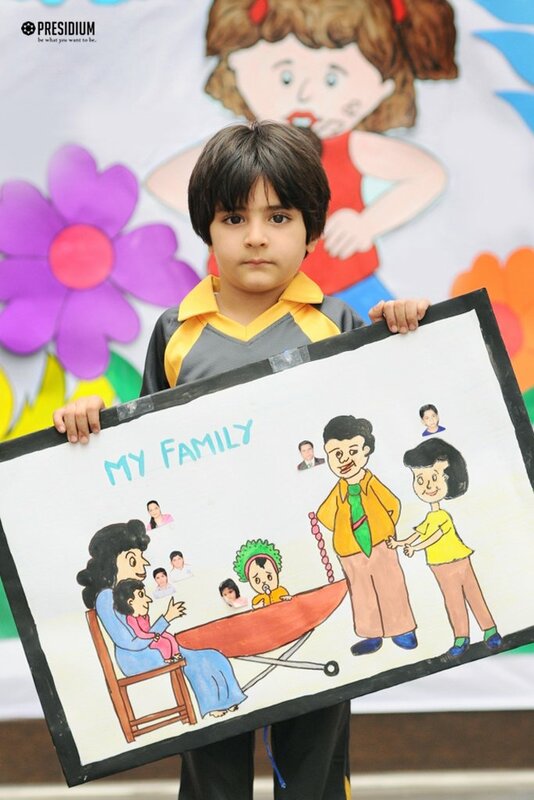 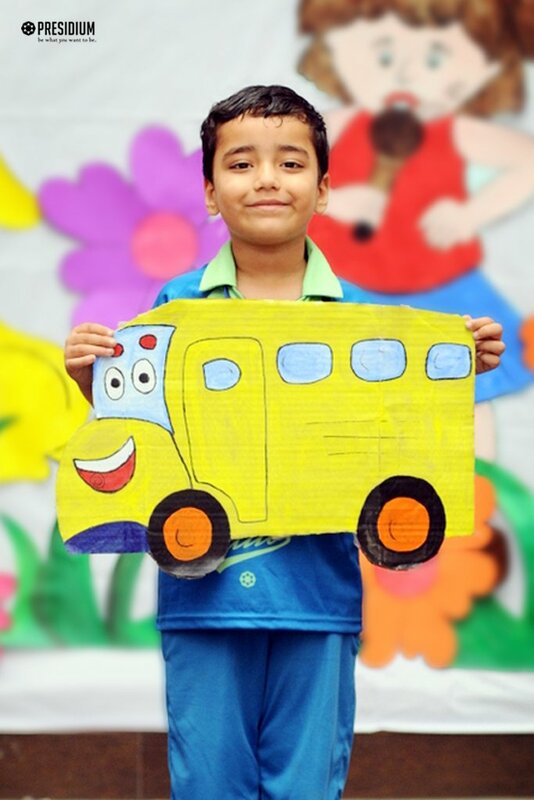 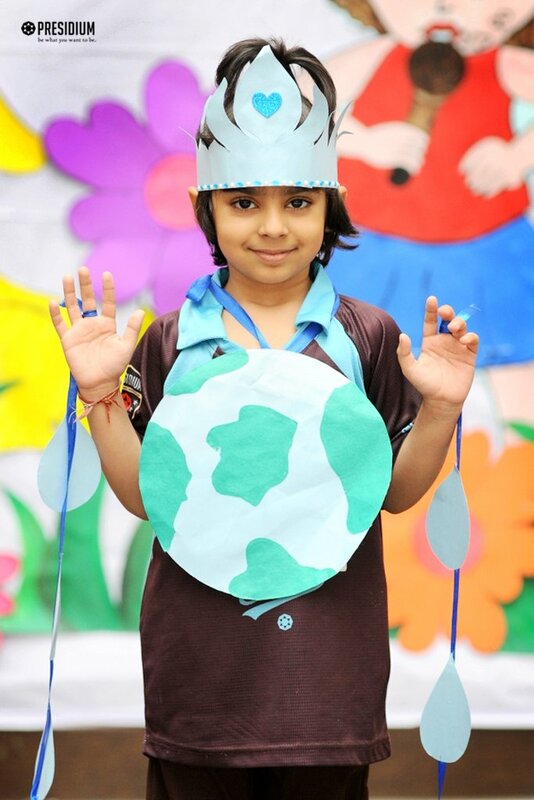 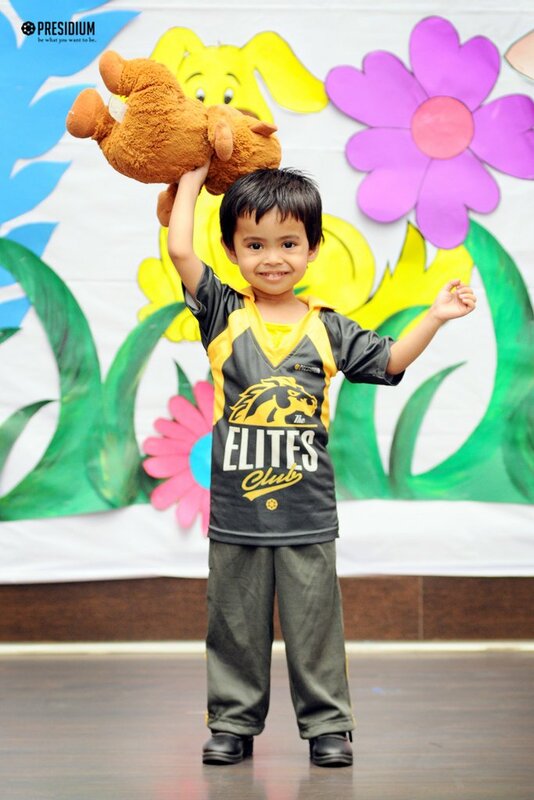 At the event, our young students actively participated in the competition and recited various English Rhymes and poems with the help of different colourful props on each. 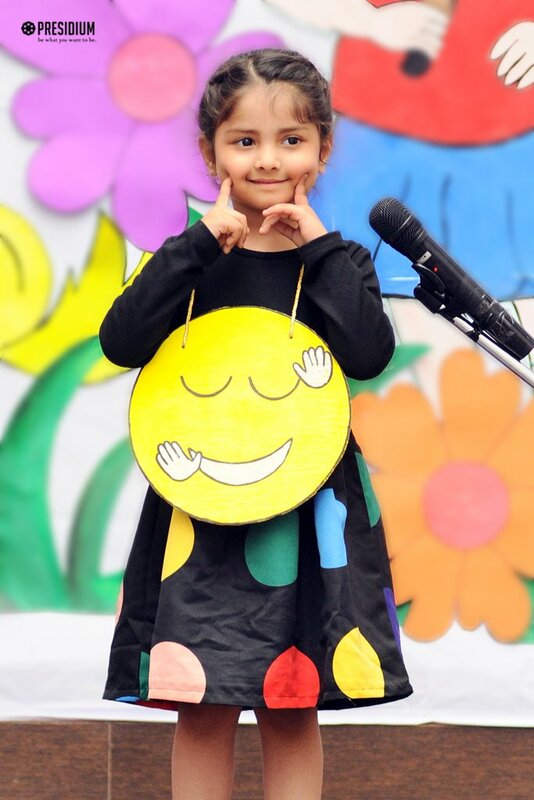 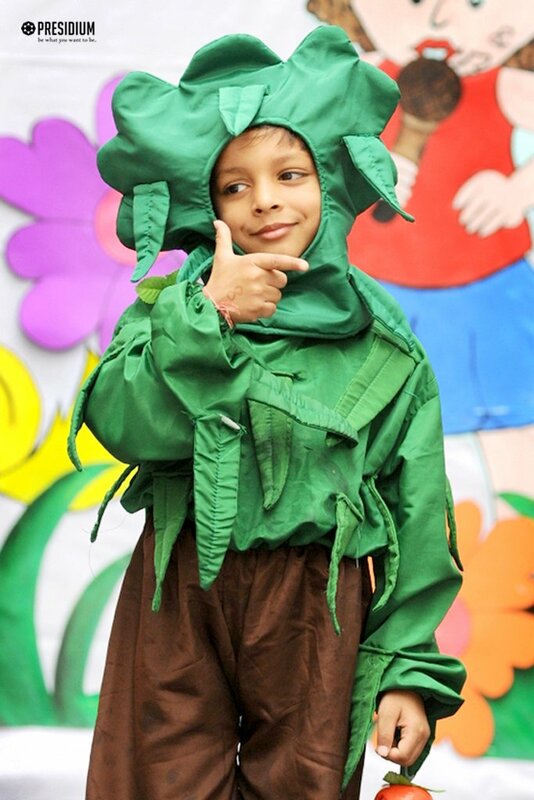 Their performances were truly appreciated by one and all as our students exhibited unmatched confidence and poise on stage.